3 days of riding festival, showcasing a popular sport, in Singapore, the OCBC Cycle Singapore 2012 was back in action from 2nd to 4th March 2012. 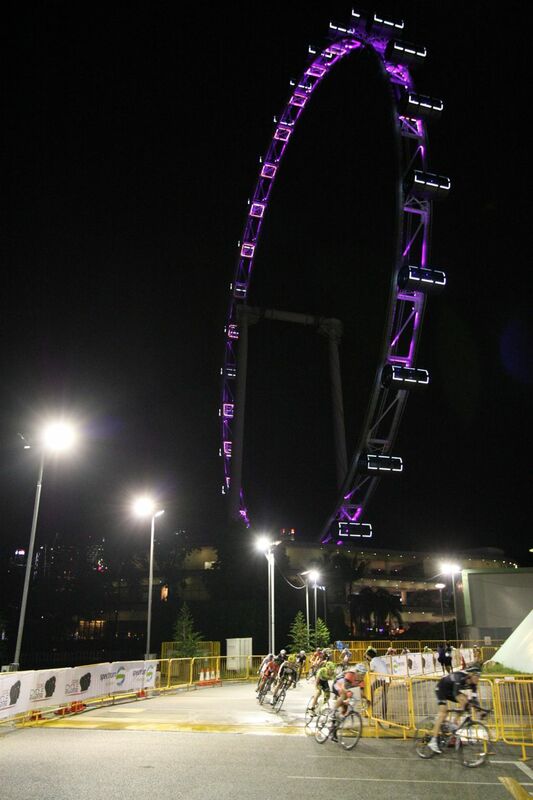 It was a great weekend for both professional and leisure cyclists from around the world, showcasing Singapore to be a great venue/location for major sporing events, held around the Marina Bay region. Recalling my coverage during OCBC Cycle Singapore 2011, I was glad to be part of this wonderful event and covering this major cycling event again! On Friday 2nd March, I photographed and covered the Professional Criterium from 8:30pm onwards, shooting from various locations around the circuit, giving my readers and followers different perspectives, angles and views of the professional cyclists in fast octane action! Since I am also a cyclist, I was happily admiring their professional, top-end and “powerful” road racing bikes and I hope my bike could be slowly improved and be upgraded too, down the road ! 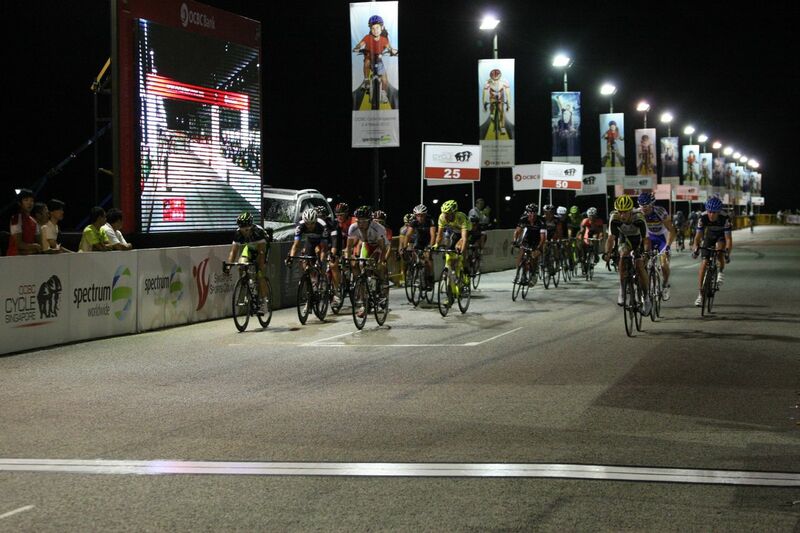 The racing was fast, competitive and under the night lights, it was fun to watch and photograph the professional riders zooming past you and feeling the wind across my face (that’s how fast the professional riders were riding!). I was back on Sunday 4th March, to photograph and cover the Super Challenge, Challenge and Community Ride riders in action, looking at the number of riders and bikers along the roads, F1 Pit Stop Building and around Marina Bay area, it’s a testimonial on the popularity of cycling in Singapore, with the potential to become even bigger, with emphasis of leading a healthy and sporting recreational lifestyle in Singapore! It’s not just the young adults, we have a wide range of age group from the senior citizens to the young kids riding on Sunday! 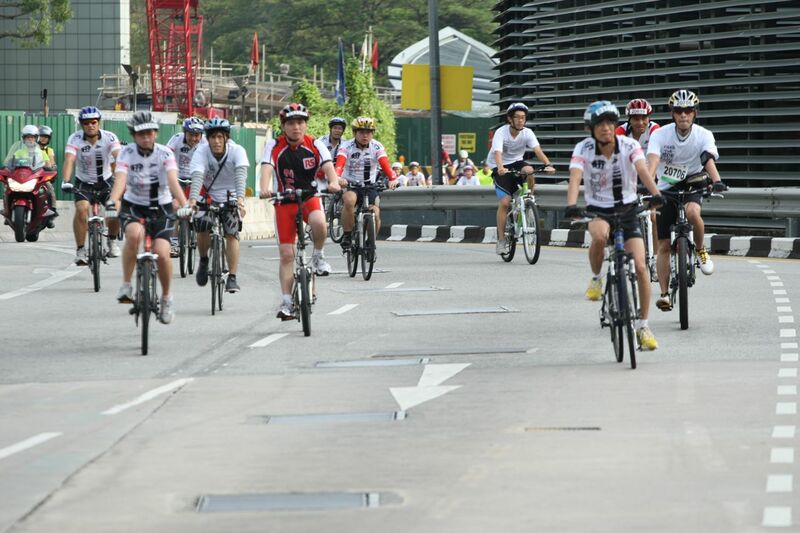 From the Channel News Asia report, there were over 10,000 riders in action on Sunday, reinforcing the growing participation and interest in cycling as a sporting, leisure and recreational activity in Singapore over the years! 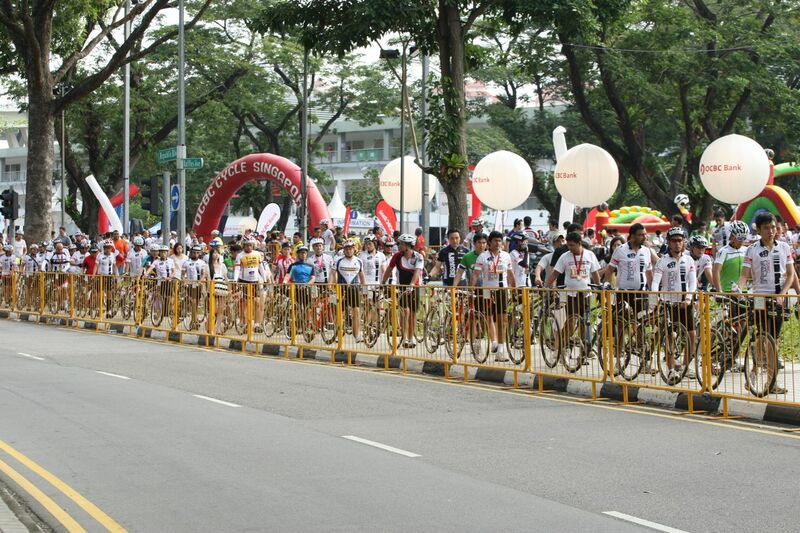 For more photos of OCBC Cycle 2012, check it out here on my Flickr ! Looking ahead in the future, let’s hope cycling gets more followers, riders and interest, with more Singaporeans adopting a healthy, active, sporting, leisure and recreational lifestyle in Singapore! Celebrate Earth Hour 2012 on 31st March !